Paul Menard and the No. 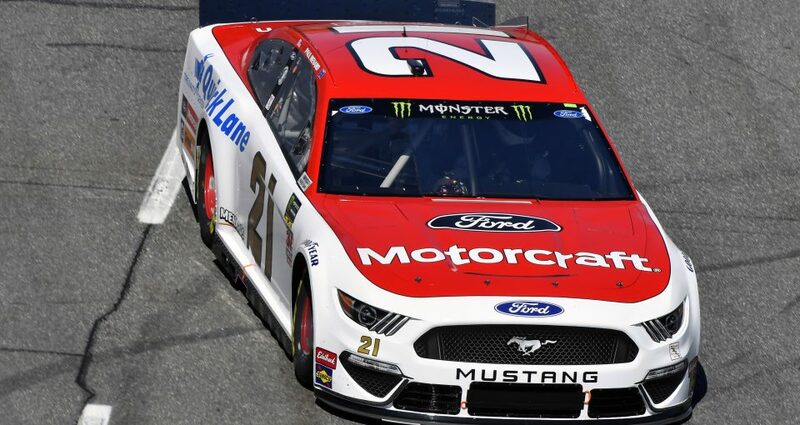 21 Motorcraft/Quick Lane team head to Texas Motor Speedway ready to put the new handling package to its first Texas test and continue their climb up the Monster Energy Cup Series points standings. Menard’s 15th-place finish last weekend at Martinsville Speedway moved him up one spot to 20th place, and he’s just one point behind 19th-place Ryan Newman and 14 shy of Daniel Suarez, who holds the 16th position. Now it’s on to Texas Motor Speedway where Menard said the new higher downforce/lower horsepower package in use on intermediate-length tracks this season creates some unknowns, as it has each time the circuit headed to a new venue this season. “It’s going to be different,” Menard said of racing on the 1.5-mile oval in Ft. Worth, which was just repaved and reconfigured two years ago while the other intermediate tracks he’s raced on this year have older pavement. “It’ll be more single-groove than most places, and the fastest lane will be at the bottom. Menard said he and the Motorcraft/Quick Lane team are putting a lot of effort into maximizing their performance with the new package. “We’re working hard to understand what the car wants,” he said. “And I’m working hard to get used to how to use the throttle with the new package. Although Menard and the team aren’t quite where they’d like to be from a performance standpoint, he feels like they’re getting there. Qualifying at Texas is set for Friday at 6:40 p.m. (7:40 Eastern Time), and the race is scheduled to start just after 2 p.m. (3 p.m. Eastern Time) on Sunday with TV coverage on FOX.